The subdivision of Highland Point is located in the City of Canton, Cheorkee County GA 30114. Homes built by Ryland Group Inc. and newer homes built by Ridgeline Homes. Located just west of 575 off of Sixes Road and just South of Bridgemill Athletic Club. The list price range for a home for sale in Highland Point is between $115,000 to $324,900. Most homes built between 1998 to 2013. Most homes have between 3 to 5 bedrooms & 2.5 to 4.5 bathrooms. The average selling price for a home, at time of post, is $196,873.00. The average total list days on market is 115, at time of post. Home Owner Association (H.O.A.) fees, at time of post, are $525.00 a year and include Club House, Park, Sidewalk, Swimming Pool, and Lighted Tennis Courts. Streets in the community include Blankets Creek Way, Blankets Creek Drive, Creekview Circle, Sixes Way and Sixes Drive. Location: 575 to Sixes Road, go West towards Bells Ferry about 2 miles and left into Highland Point (Blankets Creek Dr) subdivision. 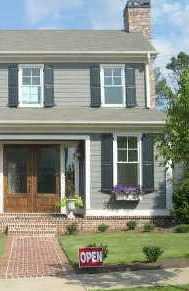 Thank you for the very good information about Highland Point homes Of Canton Georgia 30114. Builder hires bad subs and does not follow up to make sure work is done right. Would not recommend.